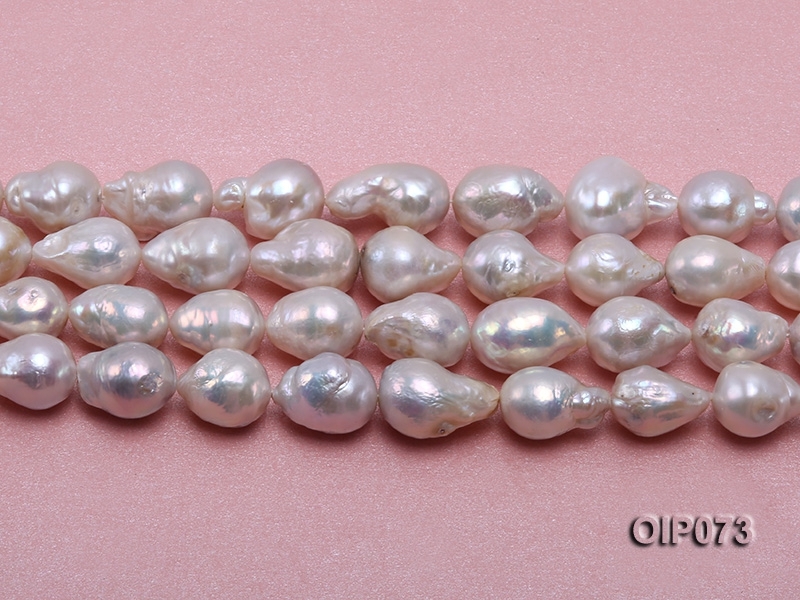 11-13.5mm white baroque pearl string at cost price. 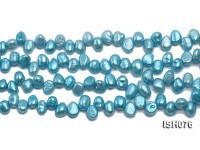 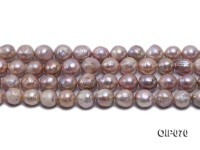 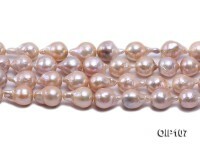 Each baroque pearl string measures 16.5 inches long. 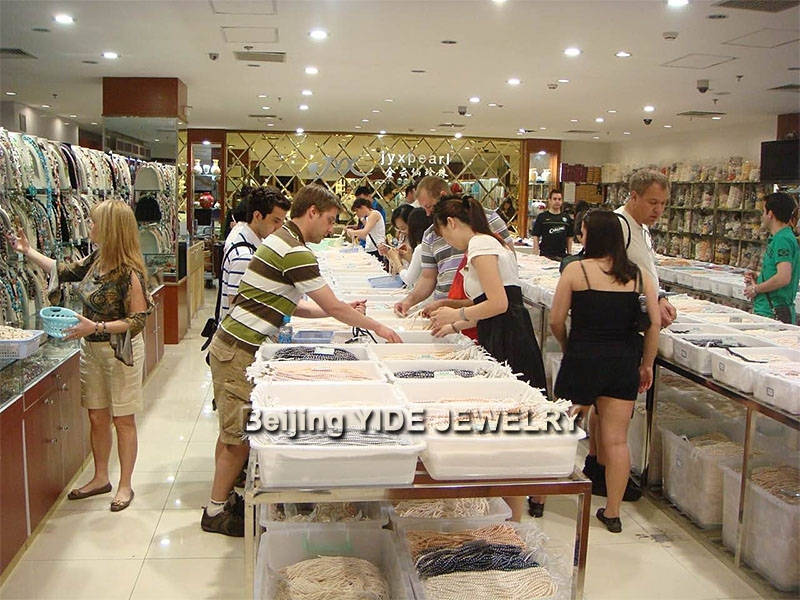 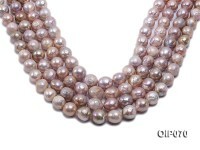 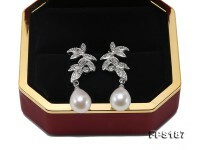 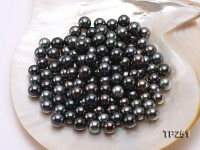 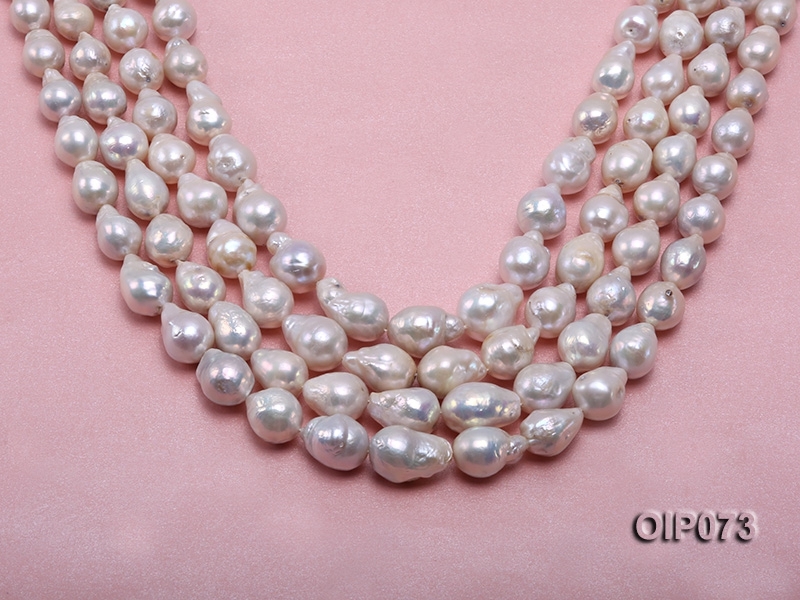 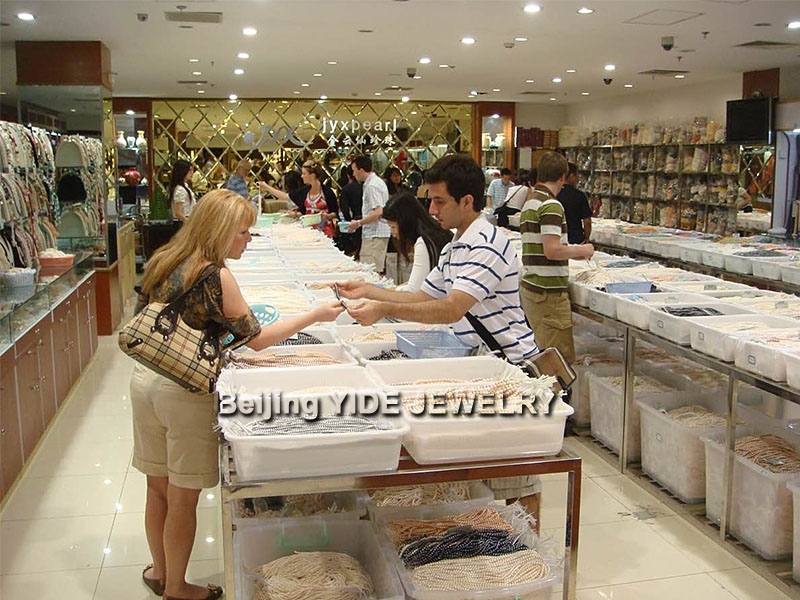 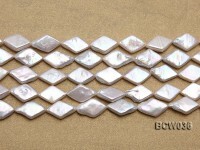 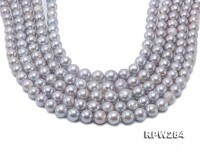 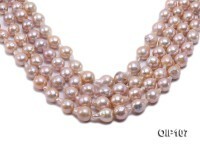 The baroque pearl beads uniformly have big size and good luster. 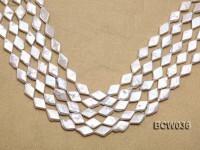 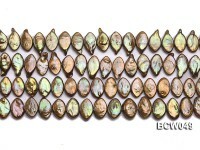 The skin of every baroque pearl shows beautiful and unique iridescence due to the natural course of cultivation. 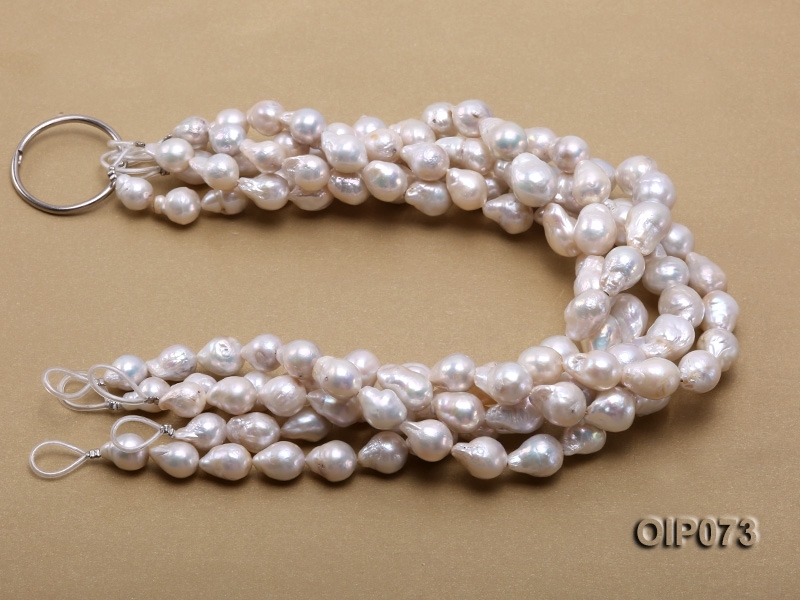 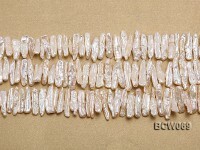 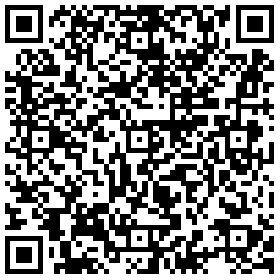 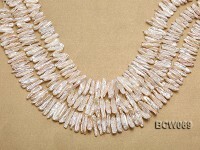 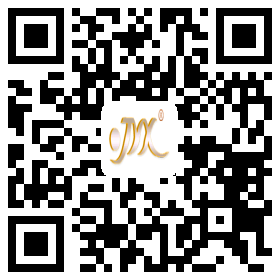 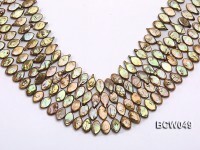 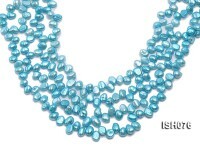 It’s highly recommended to make single-strand or multi-strand stylish necklace to sell at profitable price.